Each time I open up a new Transplanted Tale from Kate SeRine I know I am in for a treat and Ever After was delightful and suspenseful. From the King of Fairies to Merlin it was enchanting. We met Gideon Montrose in Along Came a Spider, and I like many wished for his story. SeRine gave him an excellent tale and introduced Arabella Locksley “Robin Hood” What? You thought Robin Hood was a man? 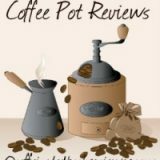 Welcome to Coffee Pot Reviews! These are short and sweet reviews done in the length of time it takes my coffee pot to brew! Today I am sharing Indexing by Mira Grant, a serial and the first book in the Kingdom series Her Mad Hatter by Maria Hall. Both deal with fairy tales. Grab a cup of DD coffee and some munchkins, pull up a chair and enjoy!